First Pres. members are known for being EXCELLENT COOKS! And we ALWAYS have PLENTY of FOOD!!! FPC members make enough for their families plus guests, and we love getting to know new folks. 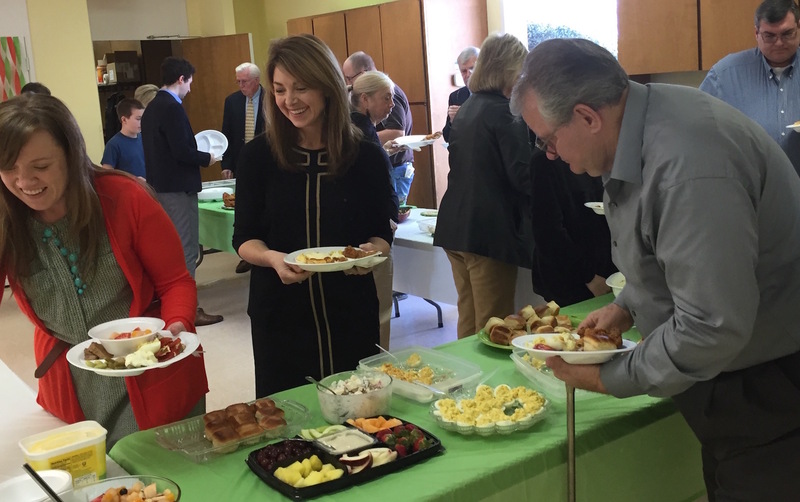 Gathering around a meal is a great time to get to know each other informally, so if you’ve been thinking about visiting for Sunday morning worship, a first Sunday would be a GREAT TIME! !